Along with the Brizzolara family, HIFF is pleased to announce the recipient of the 2014 Brizzolara Family Foundation Award will be presented to Ross Kauffman and Katy Chevigny‘s E-Team. The film profiles members of the Emergency Team (E-Team) of a respected international human rights organization, who are the first people on the scene when there is suspicion of human rights abuses. Award-winning filmmakers Kauffman and Chevigny take us behind the scenes and on the ground with these very different, yet fearlessly committed individuals as they balance their personal and family life with their intense work life in the field. “You’ve seen Human Rights Watch quoted in the news, but you seldom see those brave civilians—the human rights workers, journalists and the documentary filmmakers—who often provide the only eyewitness reports and documents to atrocities around the world. E-Team is a vivid, personal behind-the-scenes look at some of the remarkable people who work on the Human Rights Watch emergency teams, dropping into war zones and collecting that vital information—often at the risk of their own lives,” said HIFF board member Kim Brizzolara about the winning film. For the second year, REACT to FILM (RtF) will again return to partner with HIFF for the C&R program and will provide the winning film with an exclusive screening in their popular “Public Screening Series” in Fall 2014 at a high-profile cultural organization, as well as the opportunity to be featured across RtF’s College Action Network, comprised of over 40 campuses nationwide. RtF is an educational nonprofit focused on exposing students to critical social issues through documentary film. After the screening of E-Team on Sunday, October 12, at 1:00 pm, join co-director Ross Kauffman and special guests in the fields of human rights and journalism, as they discuss the work of the E-Team and how it contrasts and compares to the work of investigative journalists. Anna, Ole, Fred and Peter, members of the Emergency Team (E-Team) for a respected international human rights organization, are the first people on the scene when there is suspicion of human rights abuses. Entering areas of conflict like Syria or post-Qaddafi Libya, they gather evidence to determine if further investigation is warranted, and often what they find challenges decision makers, holding them accountable. Award-winning filmmakers Ross Kauffman and Katy Chevigny take us behind the scenes and on the ground with these very different, yet fearlessly committed individuals as they balance their personal and family life with their intense work life in the field. E-Team is the winner of the 2014 Brizzolara Family Foundation Award for a Film of Conflict and Resolution. 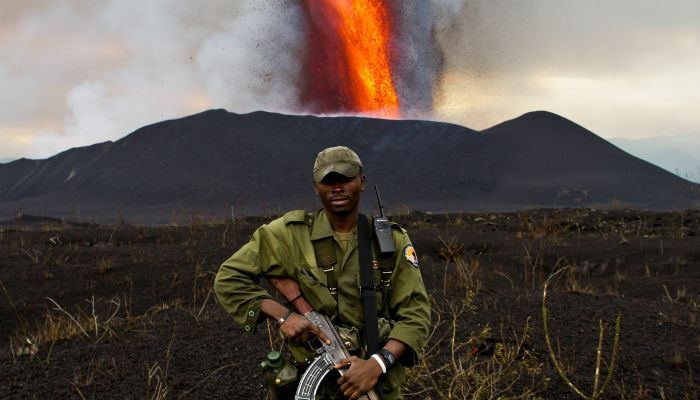 The breathtaking Virunga National Park, a UNESCO world heritage site in eastern Congo, is under attack from many sides. With its rich bio-diversity, Virunga is home to the last mountain gorillas and holds a wealth of natural resources. From sweeping vistas to pixelated images of secret meetings, Orlando von Einsiedel fashions together a thrilling first feature documentary, introducing us to the brave people protecting the park: a Belgian conservationist leading the army of park rangers; an ex-child soldier and a young French journalist who covertly film local politicians and international businessmen; and a ranger who has become a surrogate parent to orphaned gorillas. This film is also the winner of the Zelda Penzel Giving Voice to the Voiceless Award, recognizing a film in the Festival that brings attention to the suffering of animals. Tired of the constant policing, Charlie—portrayed by the regally gray-maned David Gulpilil—stubbornly copes with the encroaching “white man’s laws” into his remote Aboriginal community in Australia’s Northern Territory. He goes back to his roots to live the “old way,” only to set off a chain of events he didn’t see coming. Director Rolf de Heer crafts a subtle portrait of a man caught between two cultures and creates an exquisite showcase for his co-writer, veteran actor Gulpilil (Walkabout, Rabbit Proof Fence), winner of the Un Certain Regard Best Actor Prize at the 2014 Cannes Film Festival. 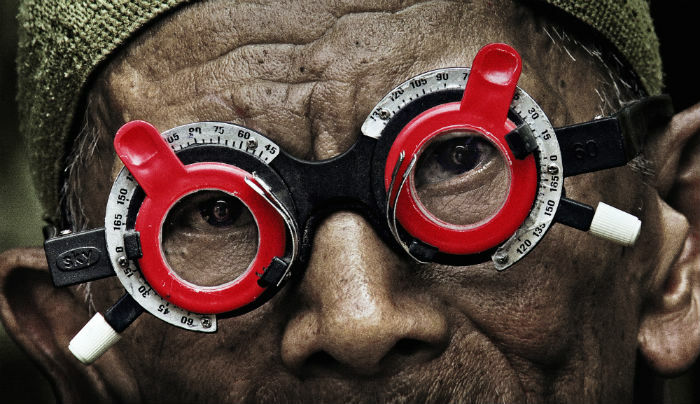 While Joshua Oppenheimer’s groundbreaking documentary, The Act of Killing, cast a light on the victors of the mid-1960s Indonesian genocide, his equally devastating follow-up, The Look of Silence, focuses on one family’s struggle to understand the horrific murder of their loved one. Adi, a humble optometrist in a rural village, stoically stares at clips from the first film before deciding to confront his brother’s executioners, many of whom are still in power. Opening old wounds, asking the hard questions, and receiving veiled threats, he attempts to start a dialogue between victims and killers who for generations have lived side-by-side in silence. 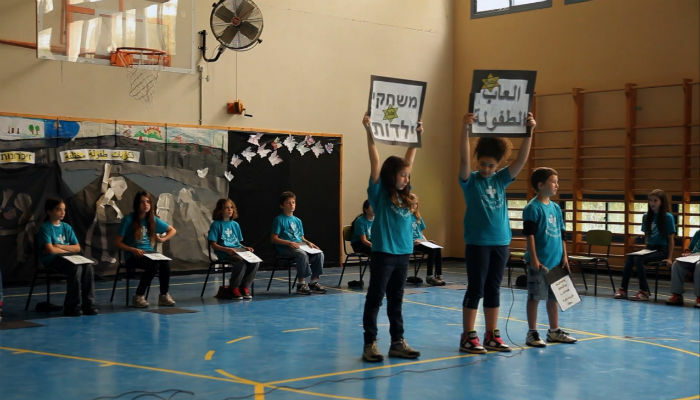 “Education is the most powerful weapon which you can use to change the world,” said Nelson Mandela, and artist-filmmaker Tamara Erde’s first feature length film examines how the shared, complex and charged history of Israel and Palestine is taught to the next generation in this volatile region. Does it fuel conflict or encourage peace? How much freedom does the Ministry of Education give teachers? Through dialogues, debates, celebrations and field trips at six independent schools, this fascinating documentary observes how young minds are shaped by what is said and, just as importantly, by what is unspoken.